Testing water is fun, it’s engaging, and it’s educational. Just ask the students in Washington Township, a small town in northeast New Jersey who participate in the EarthEcho Water Challenge every fall. 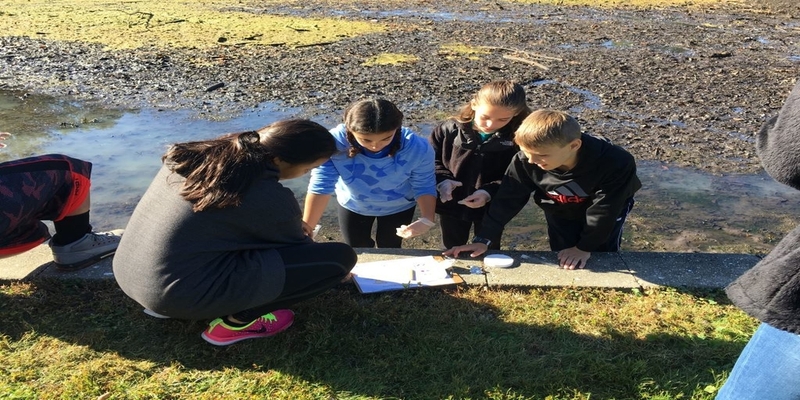 The 5th grade students from Washington and George Elementary Schools walk to a nearby lake to test the water quality using EarthEcho Water Challenge test kits. Xylem, a global water technology company, introduced this program to the schools in 2009 through their Xylem Watermark initiative to help educate students on the importance of water and the water cycle. In addition to the water testing, the students talk about water issues facing communities around the world and participate in a classroom water activity presented by their local water company, SUEZ North America. Explore the rest of our site at www.monitorwater.org to learn how students and other groups can get involved in the EarthEcho Water Challenge.